You'll be ready for any weather with this HAD brand multifunction scarf with the SIKU look. The SIKU scarf is impressively versatile. You can wear it as a bandana to protect against the sun or tie it around your neck to protect against the wind. 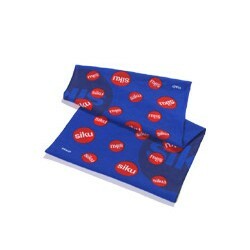 The scarf is blue with a scattering of the SIKU logo.